On April 30, 2018, the California Supreme Court sent shock waves through businesses using independent Contractors. The Court substantially narrowed the existing 30 year old rule for classifying workers as independent contractors under California wage-hour law. 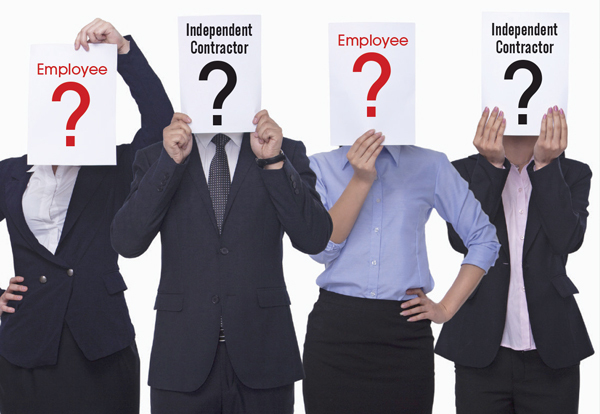 In Dynamex Operations West, Inc., the California Supreme Court adopted the “ABC test” which greatly restricts when a worker qualifies as an independent contractor. Ready for 2018 – Is Your Business Compliant? Annual Meetings and Minutes: Your By-Laws and California law requires all corporations to hold an annual Shareholders and Board of Directors Meeting. These meetings should include a discussion on the condition of the company and a ratification of actions taken. Shareholders are required to annually appoint the Board of Directors and the Board of Directors elect the officers for the next year. Ensure that the minutes from these meetings are in writing and added to your corporate records. Update By-Laws or Operating Agreement. Each business should review its By-Laws or Operating Agreement. Laws sometimes change and business operations evolve with the growth of the business. Your By-Laws or Operating Agreement should remain compliant with current law and your business operations. Tagged: "California small business attorney", "california startup attorney" and "sacramento business attorney"
Who says the economy is stagnant? California’s commercial construction industry shows the highest level of activity since 2001, and further growth is expected over the next three years, according to an article published in L.A. Biz. This promising news originated in a study conducted by Allen Matkins, a California law firm, and UCLA’s Anderson School of Management. The study examined seven of California’s major markets for indicators of future commercial construction. More easily accessible financing and low cap rates, along with increased demand from technology, advertising, media and information companies has helped spur the commercial construction growth. Appeals handled by the Consumer Financial Protection Bureau (CFPB) present issues one should be concerned with whether one works in real estate or business. Back in March of this year CFPB Director Cordray presided over the oral arguments in the first appeal hearing of an administrative action. In the case heard on appeal two companies were alleged to have given and received millions of dollars in payments through a “captive” mortgage reinsurance agreement. The argument was that these payments constituted kickbacks that violated the Real Estate Settlement Procedures Act. The facts of the case itself are not that important for those not involved in the case. Rather, what is important is the way the appeal is handled. The rules for these appeals are laid out in the CFPB’s Rules of Practice for Adjudication Proceedings. Specifically the appeals in question are appeals of an administrative law judge’s recommended decision to the CFPB director. A party who wants to appeal a recommendation must go through this process if it wants judicial review even though the recommendation does not become final until after the director approves it. The rules also provide for strict and short timelines in this appeals process. This may seem like a positive aspect as many parties wish the legal process did not typically take so long. However, it is possible that these short turnaround times will ultimately favor the agency over other parties. Other rules also appear to favor the agency fairly heavily. This is mainly because they grant the CFPB director broad discretion in reaching a ruling. Tagged: "Oakland business attorney" and "san francisco business attorney"
Business owners have many obligations. They have to consider their obligations to customers, to employees, to vendors, and sometimes even to law enforcement. One set of obligations that sometimes gets overlooked, however, is a business’s obligations to the public at large. One such obligation may come in to play when a business is considered a public forum. So the question becomes, when is a California business obligated to allow other members of the community to do things like solicit donations at their business? A recent court decision addressed that very question. The Court’s decision was in a case called Donahue Schriber Realty Group, Inc. v. Nu Creation Outreach. The realty group controls the Fig Garden Village shopping center, which is an outdoor shopping center with about sixty retailers. The shopping center has a policy that prohibits the solicitation of donations on shopping center property. Other forms of expressive activity, like collecting signatures for petitions, are allowed but only in a designated “public forum area.” One day, back in 2013, two solicitors for Nu Creation Outreach went to the shopping center and solicited donations for their organization on sidewalk areas adjacent to store entrances within the shopping center. The next day six to eight solicitors from the organization showed up and started soliciting donations. Shopping center representatives explained the policy and asked the solicitors to leave, but they refused. The shopping center then called the police, but the police refused to arrest the solicitors without a court order. Tagged: "Oakland business law attorney", "sacramento small business lawyer" and "san francisco business attorney"
Some small businesses in California are getting an extra year to comply with the requirements of the Affordable Care Act, which is also colloquially known as “Obamacare.” Radio Station 89.3 KPCC is reporting that a bill signed by Governor Brown this week will give the smallest mom and pop businesses in the state an additional year before they are required to comply with the requirements of the Act. Tagged: "Oakland business law attorney", "sacramento small business attorney" and "San francisco business law attorney"
Building a small business is hard work. Even with a great idea and a stellar work ethic, multiple hurdles will come up along the way. Some of those challenges, like how to organize your business or obtain the proper real estate for your business can be made easier through the assistance of a licensed attorney. But there is one other big hurdle: funding. For years, entrepreneurs have had to negotiate the often difficult landscape of obtaining loans or finding private investors to keep their doors open in those early days before the business makes a profit. In order to expand, small business owners have faced the same hurdles. But now there may be a new, easier way to get needing funding more quickly: a cash advance. The term cash advance sometimes has a bad connotation, because it is usually associated with cash advances from credit cards. This is a system where an individual uses his or her credit card at an ATM machine to receive cash directly, rather than using the credit card directly at a merchant. This sort of transaction can carry very high transaction costs–interest without a grace period plus associated ATM fees. Plus, in personal finances, it can contribute to the cycle of credit card debt. That is not the type of cash advance we are talking about here, though. Tagged: "Oakland business law attorney", "sacramento business law attorneys" and "San francisco business law attorney"
Last year, we featured several articles about California’s ride-sharing startups. Ride-sharing companies, such as UberX, Lyft, and Sidecar, are in the business of providing vehicles-for-hire. Using apps and other online programs, the companies connect those in need of rides with non-professional drivers driving their own cars. Two of the companies are making headlines, and the news is not so good. According to PandoDaily — the site of record for Silicon Valley — last month, a San-Francisco based Uber driver, Daveea Whitmire, allegedly verbally and physically assaulted one of his passengers who recorded some of the incident on his iPhone. Uber refused to investigate the matter, and insisted that Whitmire had passed the company’s standard background checks. Whitmire’s account has since been deactivated by Uber and evidence has emerged that Whitmire was a convicted felon. Uber and Lyft contend that they cannot be held liable for the drivers’ actions because their drivers are not employees but independent contractors. Last August, two Uber drivers filed a class-action lawsuit against the company, claiming that it is stiffing driver’s on tips. The suit addresses the very issue of worker misclassification and seeks recognition that Uber drivers are employees rather than independent contractors. Are Uber and Lyft correct when they say that they cannot be held liable for the actions of the drivers? Can they be sued for negligent hiring or vicarious liability? Even though we will not know the answers to these questions until a court rules, the headlines discussed above raise very important issues for startups and small businesses regarding the classification/misclassification of workers as employees or independent contractors and the importance of properly screening individuals before hire. Tagged: "California business law attorney", "California small business attorney" and "california startup attorney"
For years, California has been plagued by abusive lawsuits aimed at business establishments for alleged violations of the Americans with Disabilities Act (ADA). On September 19, 2012, California Governor Jerry Brown signed into law, Senate Bill 1186, which is an attempt to curb the abusive lawsuits based on the ADA and related state laws, requiring that places of public accommodation be accessible for persons with disabilities. The law went into effect in January of 2013. Prior to the Bill’s enactment, unscrupulous law firms devised a scheme where they would send disabled clients to as many business establishments as possible until an ADA violation was found. Once a violation was encountered, the disabled clients would repeatedly visit the guilty business establishment to encounter the same accessibility violation. Under California civil rights law, each violation triggers a minimum statutory penalty of $4,000 The law firms would then send to the guilty business establishment/property owner/lessor a “demand for money” letter or the firm would file a lawsuit on behalf of the disabled client, requesting damages for each violation (“stacked claims”). Instead of fighting an expensive legal battle, the business establishment would quickly settle. In one notorious case, an illegal immigrant and convicted felon, who also happens to be a paraplegic, filed over 500 lawsuits against businesses, and earned $165,000 in settlements, for ADA violations. The Bill has five main provisions. The first and most important provision of the Bill is that it ends “demand for money” letters from attorneys. Attorneys may still send letters to business establishments alerting them of potential violations, but the letter may not include a demand for money. The letter must contain several items, including, identification and location of the alleged violation; an explanation of how the alleged violation interfered with the disabled person’s access; and, the date of the alleged violation/interference. The law firm must send a copy of the California State Bar and the California Commission on Disability Access. Tagged: "sacramento business attorney", "sacramento business lawyer" and "sacramento real estate lawyer"